The Nationwide Insurance: Angela L Atkinson Agency in Greensboro, GA provides the following products. To learn more about each insurance product, click on the links below. Old and new cars of all makes and models should be protected with a dependable car insurance plan from a dedicated agent like Angie Atkinson. Angela L Atkinson Agency will guide you to find an insurance plan that fits your needs. We also have teamed up with Nationwide to ensure you have everything you need to protect your vehicle and everyone in it. The way you drive your car, your car's safety and security features, and where you park your car in Greensboro are all factors that have an impact on how much you'll pay for insurance. In addition to these factors, we look for every available discount that you qualify for to provide you with the greatest possible savings. We may not be able to save you money at the pump, but we'll do our best to see if you qualify for discounts on your auto insurance. There are also a number of coverage options you can add on your policy, all of which we'll be more than happy to go over with you. There's no need to take chances while you're behind the wheel. Relax and enjoy the ride knowing that you've got the right auto insurance plan from Angela L Atkinson Agency. Feel free to pay us a visit at our location at 114 E Broad Street or call (706) 453-0093. Let Angela L Atkinson Agency explain the policy choices needed to personalize a policy solution for any Greensboro household. Our agents are ready to go through and explain the details of various coverage options. Greensboro homeowners can quickly and clearly understand what's at stake when making their policy choices with Angela L Atkinson Agency. More than just the versatile products, Angela L Atkinson Agency knows the value of Nationwide's prices and services. 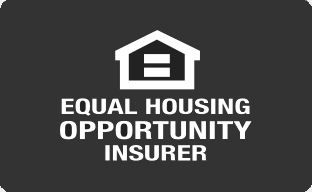 Competitive rates and widely available discounts ensure affordable coverage for the homeowners who come to us for a policy. Plus, the renowned On Your Side® Claims Service offers immediate guidance on securing shelter, making temporary repairs and preventing further damage, as well as help on completing the claims process. Whether it's a 30642 home near our local office or a residential property throughout the city, the experts at Angela L Atkinson Agency understand local risks right down to the exact block where the home is located. Let us make sure one of the most important investments you'll ever make doesn't go a single day without coverage. 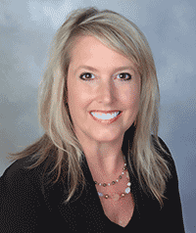 Talk to Angie Atkinson or one of our other friendly, knowledgeable agents by calling (706) 453-0093. For those who wish to discuss their coverage in person, our office is located at 114 E Broad Street. If you are thinking about purchasing a life insurance policy in Greensboro, you might have a few concerns about the process. You are probably familiar with purchasing insurance for your vehicles and home. However, life insurance requires you to exercise a little more due diligence. Think of life insurance as a long-term, personal investment. The right coverage can provide financial stability for your family. The wrong coverage could leave them with unexpected expenses. At Angela L Atkinson Agency, we work with Nationwide to provide you with many insurance options to protect your most valuable assets. We understand the need for financial security and the challenges you may encounter in achieving it. We are here to help provide you and your loved ones with friendly and professional assistance in protecting the items and people you cherish the most. You want the best rates possible for your budget. For you to receive it, you need to consider which types of life insurance you need. Making this decision is not always easy. Fortunately, Angie Atkinson and any of our team members are available to assist. There is some industry language you may not be familiar with that can make it challenging for you to understand policy options. We also offer different levels of coverage with varying death benefits and payment options. Your policy is only as good as your insurer’s reputation, experience and coverage options. To learn more about our products and how they can benefit you, call (706) 453-0093 to speak with one of our team members, or stop by 114 E Broad Street,Greensboro,GA,30642 to discuss your insurance needs in our office. As new Greensboro businesses prepare to take their place in the greater economic world, many new business owners are going to be thinking about insurance. What should a good business insurance policy contain? What lines of coverage are most appropriate for a business serving a particular population or industry? How can you be sure that a policy is going to work hard to serve your interests as a business owner? Getting direct, honest answers from an expert is easy. Just contact Angela L Atkinson Agency. Our team is here to help business owners select the exceptional Nationwide coverage that is going to give them the strongest start in this new stage of life. Nationwide provides outstanding customer service so you are never alone. Angie Atkinson can tell you more about Nationwide insurance options, and can customize a policy to suit the needs of your organization. Call Angela L Atkinson Agency today at (706) 453-0093 or visit our office at 114 E Broad Street. The Angela L Atkinson Agency also offers products in GA, SC, TN. Please call for information on products in those states.